This very fine piece of artwork is on display inside Change Works In Burntisland. 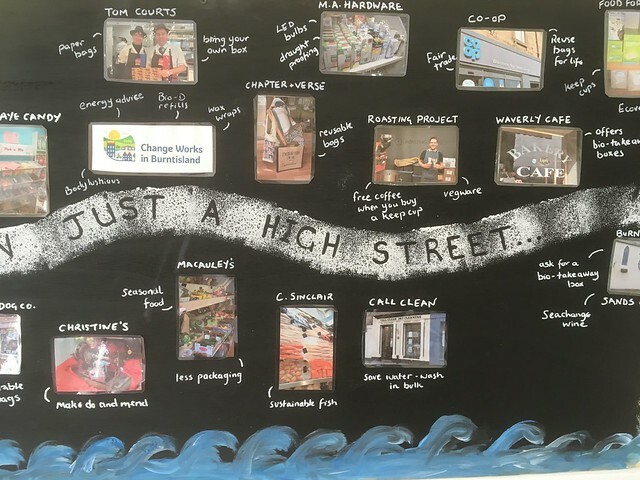 It’s a collaboration between Change Works and Totally Locally Burntisland. 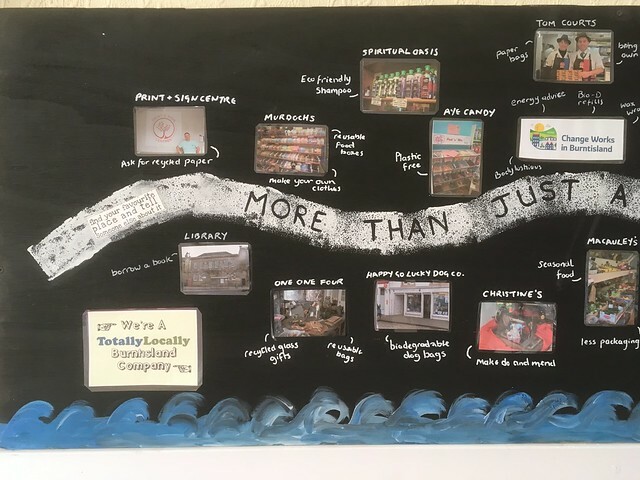 The display, which highlights some of the ‘environmentally friendly’ offerings and actions of local businesses, was put together by Lorna of TLB and Jo from CWB. 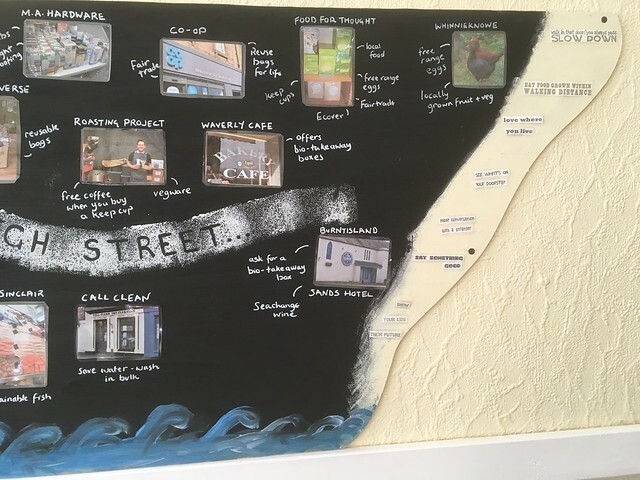 Jo said “it was great to have a chance to pop into the High Street shops and it has already generated a lot of interest, we have space for a few more but I think we may end up needing an extension to the display”. Well worth a closer look.